Part of the fun of the Halloween season is the movies that are on cable tv – and on Halloween itself, networks usually prepare some really good lineups. This year, AMC has been a little disappointing – but we’re happy to announce that The Sundance Channel is taking care of that deficiency! This Halloween, The Sundance Channel is having a “Scare Tactics” horror film fest. At 12:30 am on October 31st, three horrific films will be shown back to back to back. 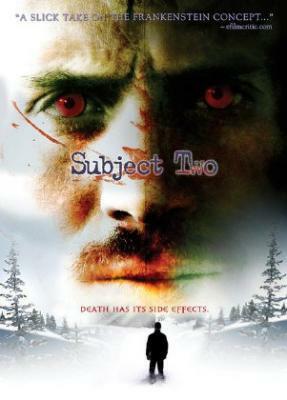 First up is Philip Chidel’s Subject Two, about a scientist who discovers the secret to resurrecting the dead. In a remote, snowbound cabin in the Rockies, a scientist (Dean Stapleton) is working on a revolutionary project — for which he needs a guinea pig. Enter Adam (Christian Oliver), an unhappy med student, who becomes the second subject in a series of experiments that involve his repeated murder and resurrection. As the study progresses, both the physical isolation and the effects of the reanimation technique begin to take a toll on Adam. This is followed at 2:10 AM by Korean filmmaker Woo-cheol Lee’s Cello, a tale about a cellist who suffers a car crash, and tries to put her life back together. The undying aftereffects of physical and psychological trauma form but one force haunting the female protagonist in Korean filmmaker Woo-cheol Lee’s atmospheric exercise in horror. Music instructor Mi-ju (Hyeon-a Seong) once had a promising career as a cellist, but a life-changing car accident brought that to an end. When a student threatens her, Mi-ju experiences flashbacks of the traumatic crash and begins to suspect that supernatural forces are threatening her as well. And that very creepy new housekeeper doesn’t make matters any better. Finally, the “Scare Tactics” block closes at 3:45 AM with David Moreau and Xavier Palu’s Them, aka Ils (which we posted about earlier this week! 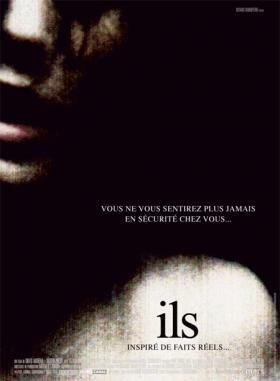 ), a terrifying film about a French couple alone in a large house in the woods. David Moreau and Xavier Palud’s excruciatingly tense fright-fest arrives as part of a recent boom in French horror films, notable for stylish flair, heightened atmosphere and psychological insight. Purportedly based on real events and told in a chronology that unfolds in nearly real time, Them follows a French academic couple (Olivia Bonamy and Michaël Cohen) living in Romania, who rent a handsome country house in the forest. Alas, during a dark and terrifying night, they slowly discover they are not alone.